Directed by Rahi Anil Barve, Anand Gandhi, Adesh Prasad. 2018. India. 104 min. Hindi with English subtitles. Set in 19th century British Raj, Sohum Shah stars as Vinayak, a man whose family depends on an ancient ritual to acquire wealth. Greed starts to take hold and the curse of a demon god becomes more and more dangerous when Vinayak’s son begins to follow in his father’s footsteps. 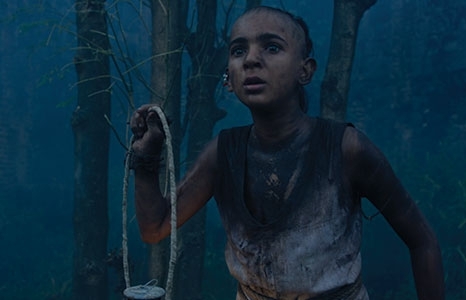 Tumbbad is an amazingly beautiful and atmospheric film, one of the best horror films to come out of Bollywood and the first Indian film to open Venice Film Festival’s Critics’ Week.